We are a local, independent pet food and accessories specialist, providing excellent customer service and advice on all aspects of pet care. Stockists of most premium brands, including Archers, Royal Canin, Hills, James Wellbeloved, Burns, Lilys Kitchen and many more. We have access to over 18,000 products via our suppliers. 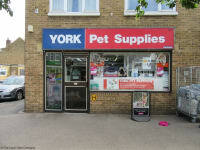 I have been going to York Pet Supplies for many years. 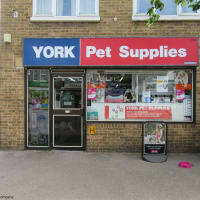 Its a lovely well stocked pet store, and has very helpful staff. Perfectly located for me to nip over for animals bits. You get a great service from the friendly and helpful man that runs the place - he's even offered to order things in for me when not in stock. Competitively priced, and I always feel better spending money in a good local business rather than chain shops. I enjoy buying supplies for my numerous pets at York Pet Supplies as the gentleman is always to friendly and helpful, and prices are competitive with the big chains. Why not support your local shop and receive great service at the same time!